Acquired by the Diocese of Savannah in 1955 and renamed St. Anne’s Catholic Church, this chapel was built by Henry & Clara Ford and named for their mothers (Mary was Henry’s mother and Martha was Clara’s mother). 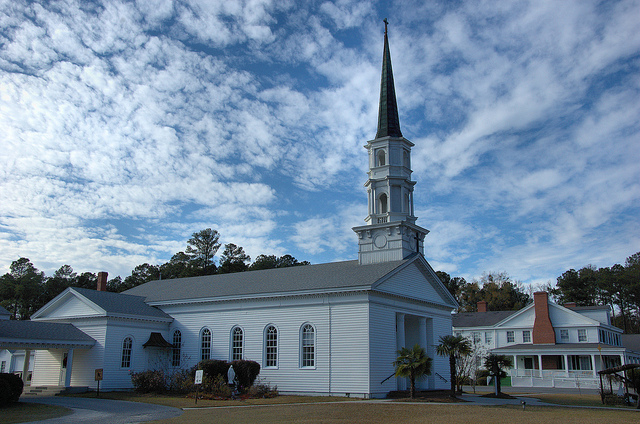 Most of the church furnishings were built on Ford’s nearby plantation. Students from the Ways Station School (Richmond Hill was known as Ways Station until 1941) and their teachers regularly attended services here.